For many teachers, education is as much a calling as it is a profession. Parents and students will attest that teachers do much more than teach. They also inspire, guide and comfort. 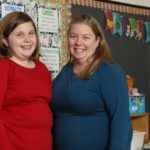 They go the extra mile, connecting with students by providing a sympathetic ear or a shoulder to lean on for a struggling high-schooler, or needed hugs for a preschooler. Teachers in Carroll County are no different. Countless teachers here take the time and effort to reach out to their students, often outside the classroom and on their own time. 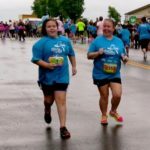 They help a third-grader train for a 5K, and then run it with her, or spend their free time attending the sports activities and dance recitals of their students, or wash the dirty clothes of a little girl who has not been bathed in months. 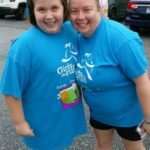 The stories that follow are just a few of those teachers in Carroll County who are touching lives and shaping futures beyond the classroom. The finish line was in sight. Yes, the teacher and young girl were last. Yes, they had walked/jogged instead of run. And, no, neither one of them had ever run in a 5K before. But there it was. The finish line. 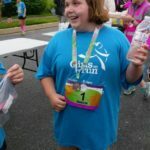 Nine-year-old Maddi Finn looked over at her former teacher, Jennifer Miller, and with a mischievous grin, Maddi cried out, “Let’s sprint it!” And so they did, to cheers from the crowd. That moment was a milestone in a journey that saw a little girl with the help of her teacher slowly realize her potential. 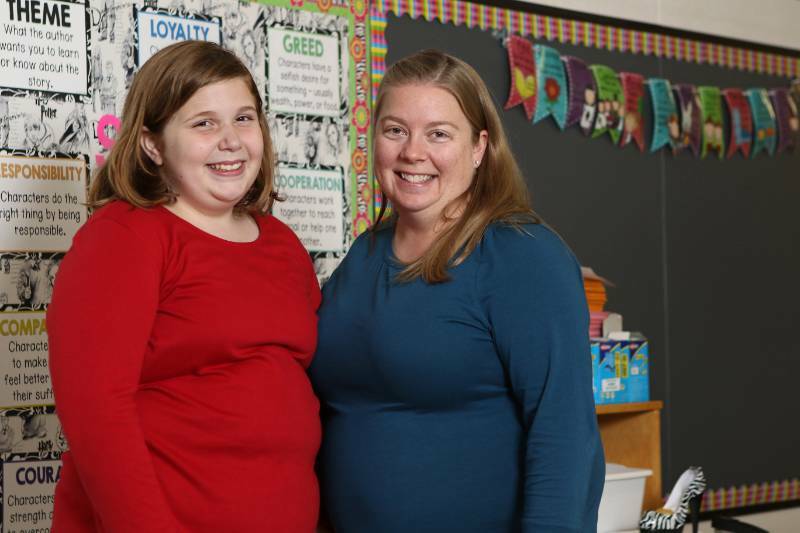 Maddi first met Miller as a second-grader in Miller’s class at Runnymede Elementary. She had been diagnosed with severe anxiety and would become frustrated and overwhelmed. She would have panic attacks and sometimes even crawl beneath her desk to hide. “She’s my safe place,” says Maddi. Now a fourth-grader, Maddi still stops by Miller’s classroom in the morning “to get my hug, sometimes two” and a pep talk. 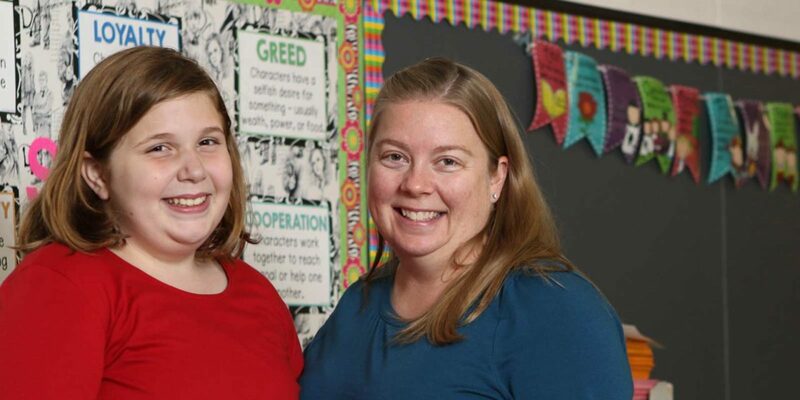 Those morning moments have become so important to Maddi that when Miller took a week off for her honeymoon last year she left behind little notes of encouragement that Maddi’s current teacher could give her daily. 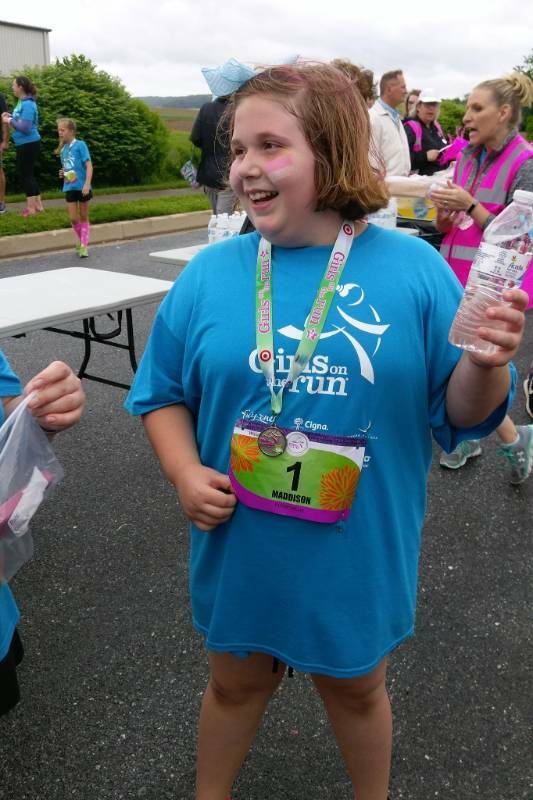 Thanks to such encouragement, Maddi joined the Girls on the Run program and trained for the 5K, and Miller joined her. 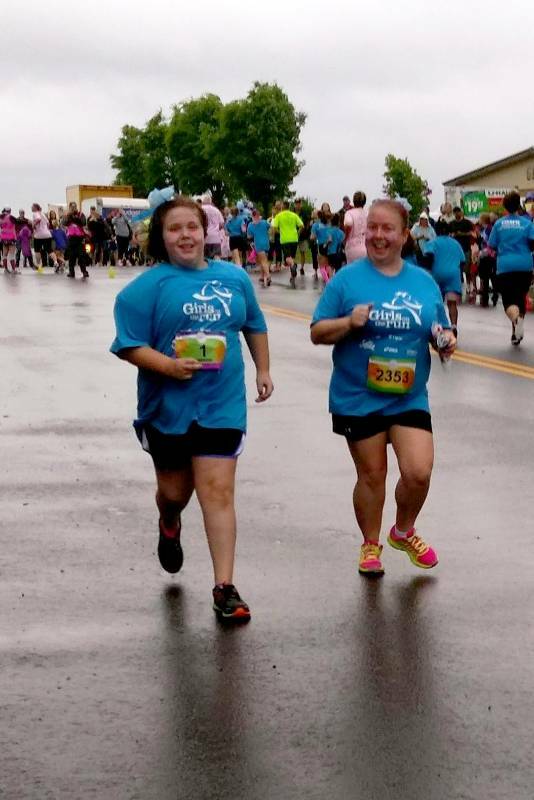 “I told her that if she was willing to do it I would do it with her,” she says. Maddi had her reservations, though. “I didn’t think I’d finish,” she says. But she did. “I will always remember that big smile on her face,” says Miller. Nick Brennan’s parents divorced when he was 7 years old. And it had quite an impact on him even into his high school years. Fortunately, says Brennan, he found a friend during this time. Someone he would go on to refer to as “Dad” when passing him in the halls. 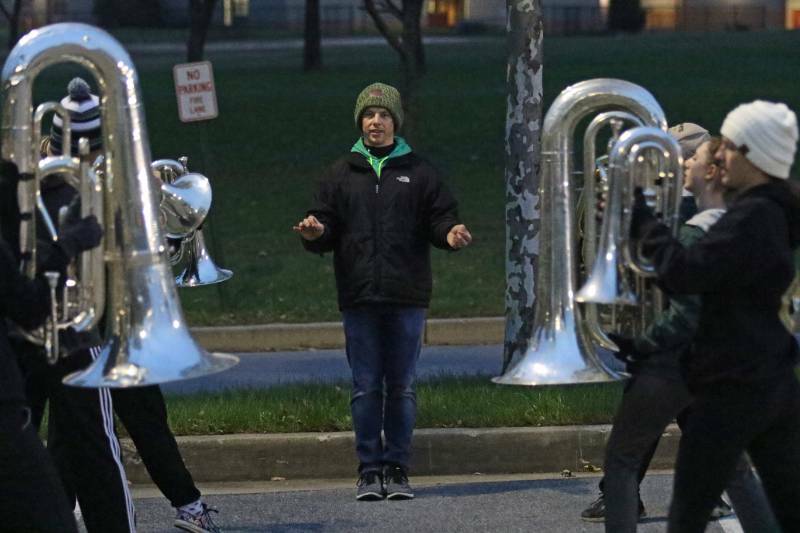 Not only does Jones teach a full schedule, as the director of the marching band he puts in an extra 25 to 30 hours a week after school and on weekends. But his students will tell you that he always makes time for those who need a sympathetic ear or a shoulder to lean on. The little girl had last had a bath at Christmas. It was now spring. “She smelled,” says Amanda Smith, who was her pre-K teacher at the time. Elmer Wolfe is a Title 1 school, which means it qualifies for government funding because it has a high percentage of children from low-income families. And because she works with low-income families, Smith’s responsibilities do not stop with teaching letters, numbers and colors. In an effort to provide the child with enough to eat, Smith has purchased her food, as well as clothing, out of her own pocket. Then there are hugs and kind words. Smith acknowledges that she has “meltdowns,” and sheds tears for students like that little girl. “I just wanted to bring her home. Give her a bath and take her in,” she says. That’s not possible, of course, but she, and others at the school, do what they can. “Sometimes they just need love, and someone who cares about them,” says Smith. He said he would be there. And he was. 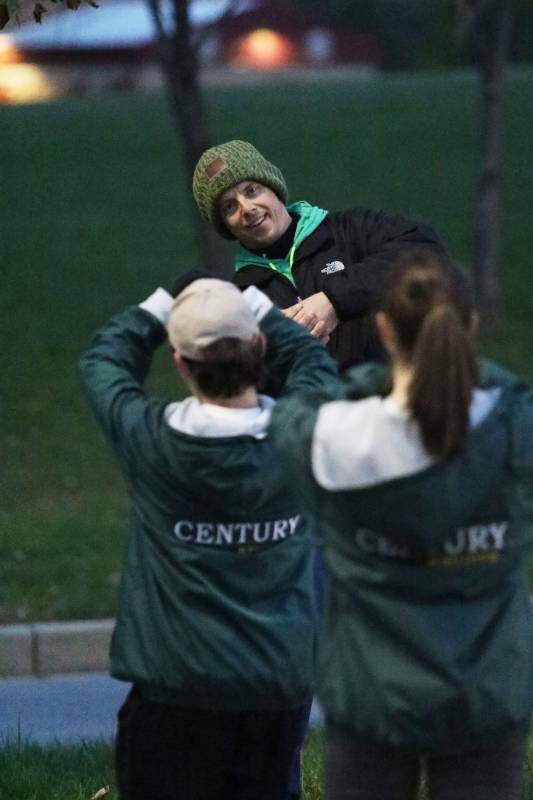 As Hailey Woerner took the mound, pitching at her softball game, she looked up and saw him. 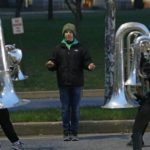 Jesse Harrington, a sixth-grade social studies teacher at North Carroll Middle School, could spend his free time doing whatever he wants. But he often chooses to spend his time attending the events of his students. “From every kind of sport to even dance recitals,” he says. Harrington, who is sometimes accompanied by his wife or by fellow social studies teacher Brandon Knight, says he feels that by attending these events he is making a “good investment” in his relationship with students. The impact can be long-lasting. Hailey is a senior now, and still calls Harrington her favorite teacher. And the family remembers that day at the softball game fondly. Jayden Snorgrass refused to get on the bus. So determined was he to avoid it that he would attempt to run away rather than climb onboard. According to his mother, Amanda Day, 7-year-old Jayden has a sensory processing disorder. “He can’t handle loud noises or bright flashing lights,” she says. And when he returned to school after Christmas break last year, he was especially anxious about getting on the busy bus and taking the long ride home. That’s when Shannon May, his speech teacher at Linton Springs Elementary, offered to walk him to the bus. “I knew that I could probably help him,” says May. A small gesture to some, but a significant one for Jayden and his family. Walking together enables Jayden to go at a calmer pace, easing out of his day and into the ride home. As for May, she is glad to do it. “Not a time did I think this was an extra effort,” she says of walking with the little boy who shares her love of superhero Groot from Guardians of the Galaxy, a topic they often discuss. Both May and Day will tell you that some days are better than others. And this year Jayden has been given the say about whether he wants his walking friend or not. When he does go by himself, he has been “successful in following the rules and independently doing the whole process,” says May. Long after graduating, a former student shares his story of a special teacher who changed his life. My name is Bill Mackinzie. I transferred to Francis Scott Key High School in my junior year after my grandfather died. I was bullied quite a bit as a kid and was miserable at school. I had very few friends at the time. I used to sit in the back of the class, and since I wasn’t into school I wouldn’t engage in the class. To pass the time away I would draw on the desks. Usually scenes of airplanes flying. One day Stan Holcombe, my English teacher, asked me to stay after class. I thought I was in big trouble for drawing on the desks. Instead, he asked if I’d be interested in being on the yearbook committee and said that they needed an artist to help with a design he had an idea of using. I agreed to come to their next meeting. As I was about to leave the class he said, “and, Bill, would you mind not drawing on the desks, please?” with a smile on his face. I became very involved in the yearbook committee, which also led me to becoming involved in the Drama Club. Needless to say, my whole world changed because of him. After high school, I graduated from college and then joined the Air Force and trained as a pilot. I’m now retired from the Air Force, living in England, and I train business jet pilots to fly Gulf streams and Global Expresses. Mr. Holcombe changed my life just because he cared. Years later, when they were dedicating the new wing of the high school, I took my family there to show them my school. I asked someone about Mr. Holcombe and they said they had just seen him, so they paged him, but he must have just left the building. So I missed him. Several weeks later he died of a heart attack. I came so close to thanking him and showing him what impact a teacher could make on someone’s life. I felt terrible that I never got to show him how my life turned around because of him. Luckily, I was able to get Mr. Holcombe’s daughter’s address, and I sent her a letter. She needed to know her dad was a hero. 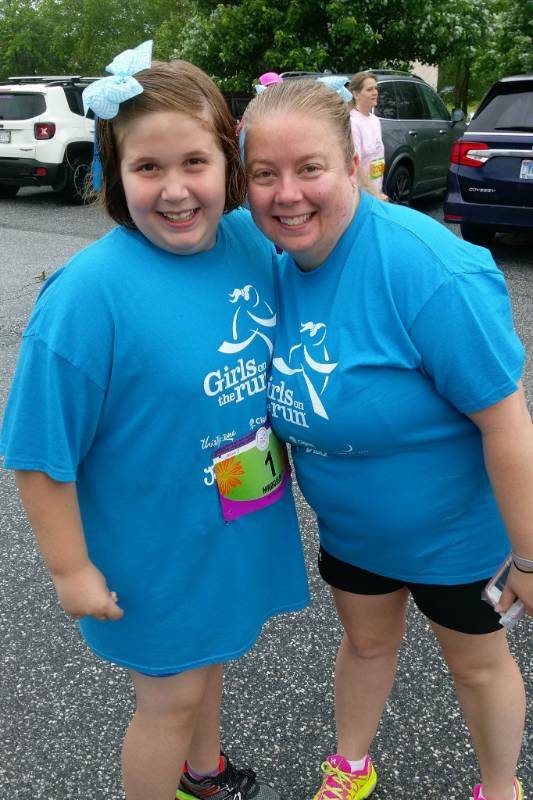 Maddi Finn with her teacher Jennifer Miller joined the Girls on the Run program and finished their first 5K together. Photos supplied by Maddi and Jennifer. 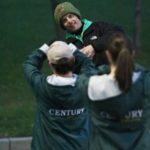 Century High School marching band director Stan Jones during rehearsal at the school.